As you have already seen, today’s coverage mostly focused around the announcement of Facebook’s Home launcher for Android and their partnership with both AT&T and HTC to create the HTC First. This size of an investment in the mobile space is what Facebook has been needing, given that the mobile experience for their service on Android is somewhat lacking. Kellen already ran through his initial reaction, but since I was actually at the event, thought I would go over my initial reaction to today’s announcements as well. I am a pretty heavy user of Facebook. While sitting at my desk, I have the social network open at all times, skimming my friend’s updates and chatting using their IM service. My initial feelings towards having Facebook this heavily integrated into my smartphone is not very positive, but at the same time I could see this being great for someone else. To give an example, someone like my mother, who keeps track of her children’s lives through Facebook and only has us as friends will definitely get a kick out of this. With Home, as soon as she turns on her phone she can see our latest pictures and status updates. For me, that’s completely acceptable, given as long as she isn’t calling me for those things and yapping my ear off for an hour. In short, if this helps someone feel more in touch with the people in their lives, so be it. 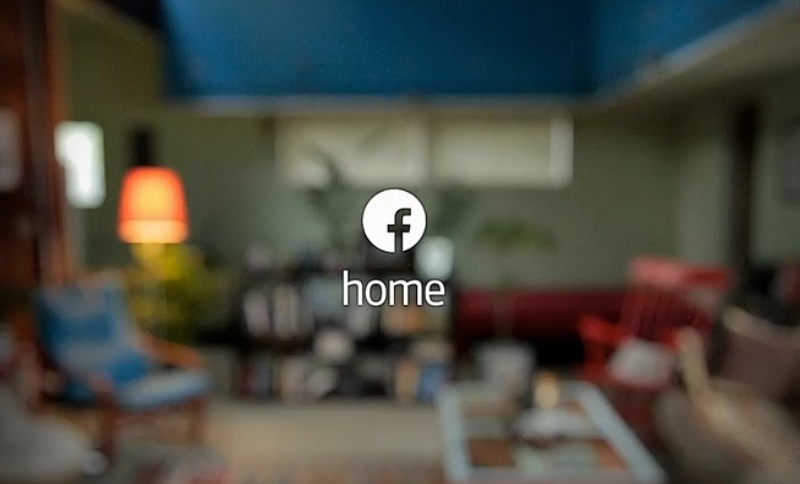 The point is, Home is a very neat idea when looking at it from the outside, but I just can’t imagine myself being this involved with Facebook. As for the First, the specs are as some would put it “outdated,” but it does come with a pretty intriguing price point of $99. At that price, and with full Android operability, it does seem nice. Although, to develop a device just for Home is something I have not yet wrapped my mind around. Once the announcement of Home was official and we saw that it was merely a launcher, not a forked version of Android or some Facebook OS, it just seems that the resources spent on the creation of this device were misplaced. The only aspect of Home that requires a system-level integration is notifications. For me, that just isn’t enough to justify buying a separate device. Sure, a tween could totally afford this device and get themselves into it, but as an Android fan and superior hardware diehard, this phone serves zero purpose to me. While most of what Home brings to a device doesn’t really interest me, Chat Heads is easily what I came away most impressed with. The ability to be in any app, playing a game or whatever else you’re doing and still have the ability to receive and send messages without backing out of said app/game is huge. While 3rd party Android apps do provide pop-up services for this (only text messages though), they’re just that, pop-ups. Pop-ups are flippin’ annoying. Chat Heads rest on the side of the phone’s UI, allowing you to still accomplish the task at hand, but serve as a gentle reminder that your friend needs your attention. You can choose to pay attention or not to pay attention. Pop-ups on the other hand, do not. 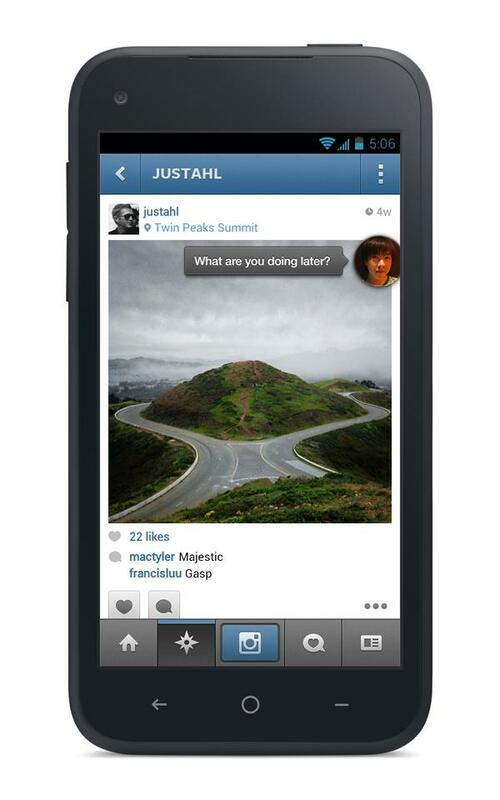 Please Google, kang Chat Heads and throw it into the next version of Android. While this device and service might not interest me, what does make me happy is the fact that Facebook showed so much love for Android as an OS. It is flexible and can take the shape of whatever developers need it to in order to get the job done. Facebook wanted to create a launcher/skin that made someone feel as if they were using a phone purely built for Facebook. And with Android, that was easily accomplished. During the Q&A session, after the live feed went dark, a reporter asked if they could expect to see Home for iOS. Not anytime soon, buddy. The level of what is need for Home to function as it should is more than Apple allows on their devices. With Home, there is a new lockscreen, overlaying IMs, and don’t forget the entire launcher aspect of it. While Zuckerburg didn’t completely rule out the possibility, iOS just isn’t made for applications such as Home. For that, this is a major score for Google and Android. At the end of the day, Home is simply a 3rd party launcher. While it brings a new list of features and nifty tricks to your device, it is no more than just a tool to creep on your friends and exes. While I am happy to see Android getting the big thumbs up from Zuck, I would expect to see hype over the HTC First and Home die out within a month. This isn’t revolutionary and it certainly isn’t going to change the way we as a general public use our smartphones. Just wait till they begin to integrate ads into your Cover Feed. I will stick to just using the regular app, thank you very much.